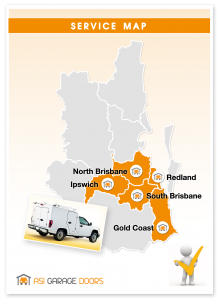 Brisbane Spring Repairs & Replacement – 24/7 Emergency & Same Day Service. Garage door torsion spring Broken? As much as we all wish that if our garage door springs were going to break, they would do so at a convenient hour, it never seem to happen that way. Because of this we offer same day or 24/7 emergency garage spring replacement in Brisbane and all area’s. Our service technician are experts in garage door spring repairs and can be on their way to handle your emergency garage spring replacement as soon as you ring us. We do recommend that when you call us for an emergency garage spring replacement, you allow us to replace both springs for your double Panel-lift or Sectional door. 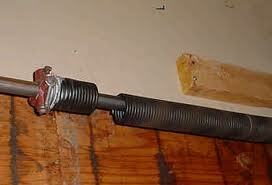 This is the safest and most cost efficient form of door spring repairs. We recommend do not attempt to open your garage door with your garage door opener. 90% of your door size, and weight is lifted by the torsion springs and if one or both springs are broken, and you use your opener it will be working under extreme pressure lifting dead weight and possibly causing the motor to break, and now become a more costly expense. The steel garage door springs face enormous forces every time the door opens or closes. Over time, the steel weakens and eventually cracks or breaks due to wear and tear and age. How often you need to replace the springs depends on how much you use your garage door. Most sectional door’s are fitted with standard springs, It is estimated the standard garage door springs have a lifespan of 10,000 cycles, or (8-10 years domestic use). Asi Garage Doors use 15,000 cycle spring’s to ensure you get more use of your door operation and working longer in the future. Trust ASI garage doors for our expert repairs & servicing, but most importantly we will do the job right the first time. When you work with us, you’ll have that peace of mind because we carry only the highest quality products from the industry’s most trusted manufacturers. Our emergency service vehicles are equipped with a large variety of standard door size springs and all door parts, remote & automatic Opener’s. Call our qualified Technician direct now on 0451139531. 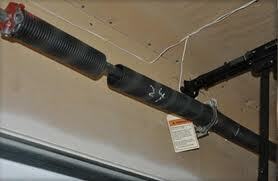 “Torsion springs should always be replaced by a professional garage door service technician or garage door installer. 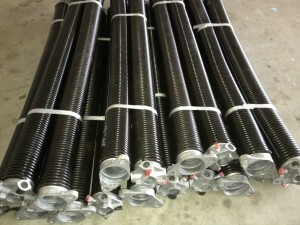 Torsion springs are under a lot of tension and could harm you if undone incorrectly or repaired by a non qualified garage door technician. Your safety is important to us, leave it to the Experts”.